The Griffin's Prestige cigars provide a luxuriously mellow and aromatic smoke that even Sir Winston Churchill would admire. 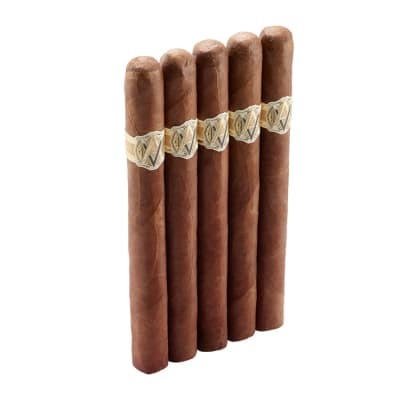 Only the best Dominican long fillers and U.S. Connecticut wrappers are used to complete this unique and opulent cigar that provides almost two hours of rest and relaxation. 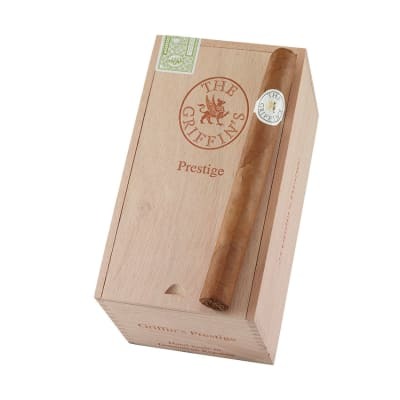 The Griffin's Prestige contain three distinct, aged tobaccos from the DR's Cibao Valley and a superior Dominican binder. They're meticulously hand-rolled in lush U.S. Connecticut Shade wrappers. Exquisitely rich, yet mild, and perfectly-balanced, with subtle traces of nuts and cedar on the finish. Years ago I tried a box of Griffins Prestige on a whim -- we had the same name. I appreciate their mild taste which I compare to Ashton Churchills -- another favorite of mine . Since then I have been a regular FS customer, ordering a box every 2 weeks on average. 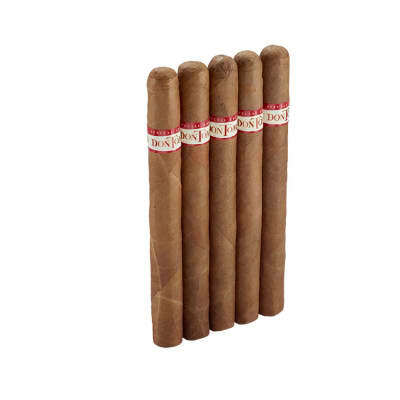 While the flavor of this fine cigar is not a cutting edge exotic blend, it is still excellent and provokes positive comments from those, including non-smokers, who happen to smell it. Overall The Griffins Prestige is absolutely first rate and can only be compared to the best. It's the only cigar I have a private humidor for. One stick of The Griffins is all it will take and you may never desire any of your old favorites again. Consistantly smooth with a scrumptious boquet and a draw that brings you back to those old havanna nights. My standard "every day" cigar as well as my special "gift" cigar. 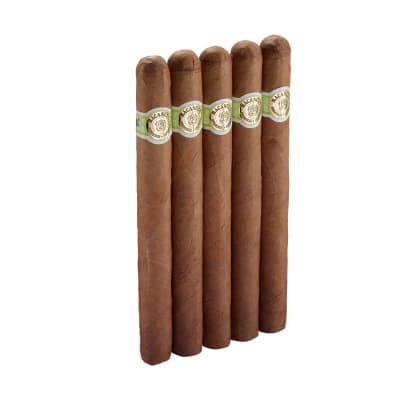 A mild, easy draw, nice burn with good aroma and flavor. Rarely lets me down. Aways appreciated when given as a gift and is so consistent it is virtually 'worry free'.